Due to the complexity of fully customized products we can not show a preview of the design dynamically on this product listing. CUSTOM LABELS: If you select CUSTOM back label please enter the color you would like the label to be as an RGB value, Hex value, or the color name. PLEASE READ: Due to the customization of this product it may take up to 3 weeks for it to ship. Any cancellation of an order containing a custom product after manufacturing of said product has begun is subject to a $40 cancellation fee that is non-refundable. If you have any other customization requests please enter them in here. Additional charges may apply, we will contact you regarding any custom requests. 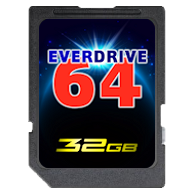 Get full customization over your EverDrive64 v2.X flash cart. Pick the front shell color, back shell color, select a label or upload your own, pick your back label color, and choose what screws you want. Still want other customizations that aren't available for selection? Tell us what you want and if we can do it we will quote you the extra cost required. Ever dream of having your whole library of Nintendo 64 games in a single cartridge? 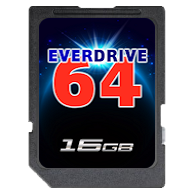 The EverDrive64 v2.X allows you to load your game back-ups (commonly known as ROMs) on a microSD card, put the SD card into the EverDrive64, put the EverDrive64 into a Nintendo 64 and have your list of games at your finger tips. Please read the FLASH CART DISCLAIMER below before purchasing. * Dragon Sword is an unfinished game. Most of the game is complete, but a couple levels may be missing. 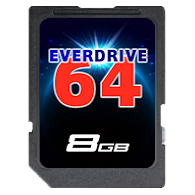 The Basic Edition comes with just the EverDrive64 v2.X cartridge with a gray back label in the selected style or configuration covered by a 1-year Warranty. Whereas the Deluxe Edition includes the cartridge with a gold back label, a case, gold back label, printed manual, an EverDrive64 sticker, Stone Age Gamer sticker, and is covered by a 3-year Warranty. High compatibility. Near to 100% compatibility with the N64 game library. Built-in UltraCIC II lockout chip. Supports both PAL and NTSC systems. Can play protected games that used CIC-6105. Region free shell. Cartridge fits in any N64 console. 64Mbyte (512mbit) SDRAM for ROM data (max ROM size 64Mbyte). 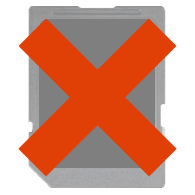 SD and SDHC cards are supported (up to 32GB). FAT16/FAT32 support. Unlimited partition size for FAT32. SD to SDRAM transfer speed up to 23 Mbyte/s. Gamepak internal save support (SRAM, SRAM128Kbyte, EEPROM16k, EEPROM4k, FlashRam).